SUBJECT: West Street Dorking is renowned for its intriguing collection of antique shops, and this one particularly caught the eye when out walking one evening just before Christmas 2015. 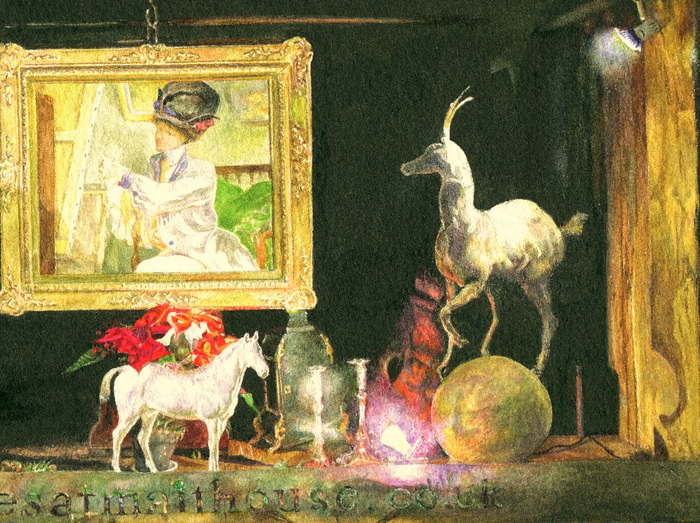 Whilst other high street shops were adorned with the usual festive baubles and festooned father Christmas figures, Malthouse Antiques had taken a more refined approach – a beautiful painting in a shimmering gilt frame, two deer atop marble globes, a white horse carrying a spray of poinsettia and glowing spotlights illuminating the whole scene. 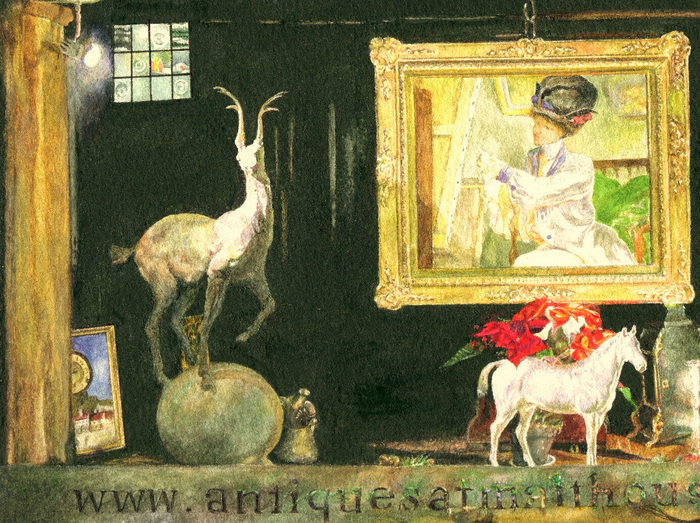 ORIGINAL ARTWORK: 10” x 7” (254 x 178mm) watercolour on fine art paper. Supplied in a quality, antique white double mount; overall 15” x 12” (381 x 305mm) ready for framing. Certificate of Authenticity provided. 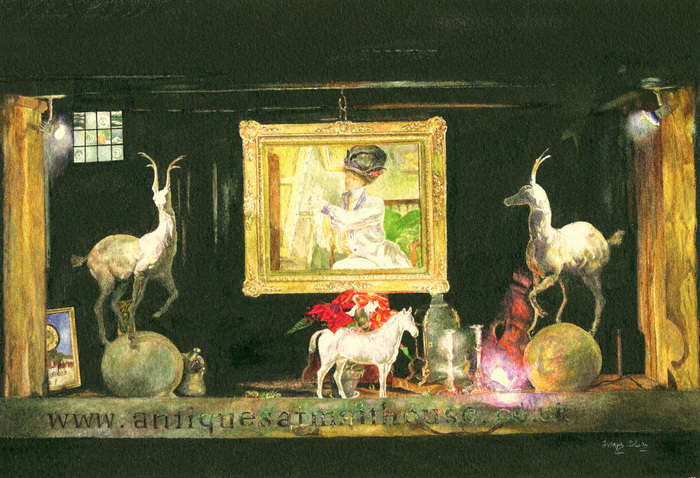 > Mounted Print: Giclée on 300gsm Fine Art Paper using long-life pigment inks. Supplied in an archival quality off-white mount, ready for framing. > Mount & Framed Print: Mounted Print (as above) supplied in a quality pine/guilt frame, ready to hang.